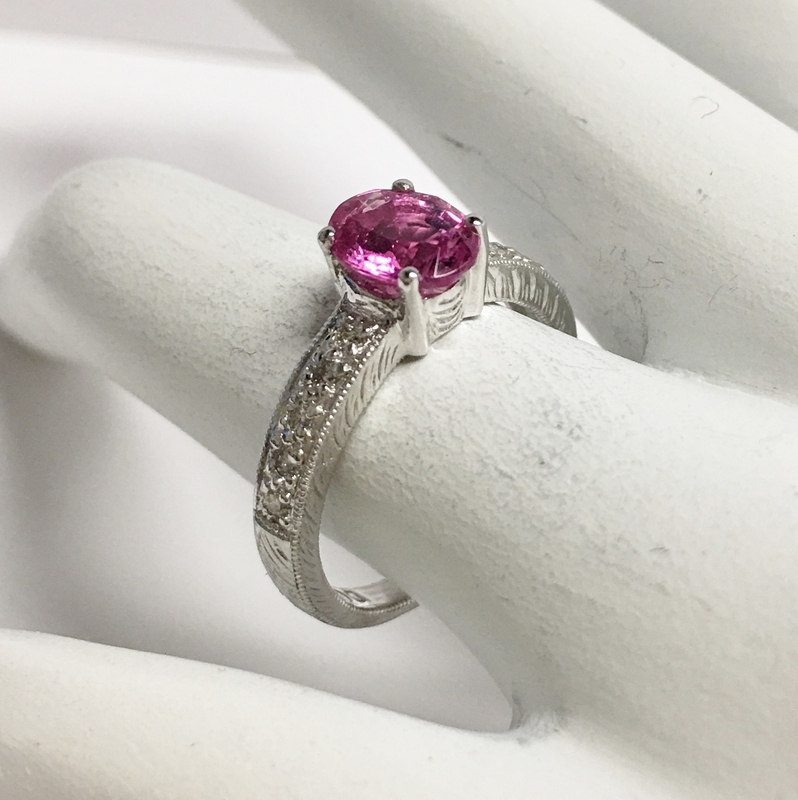 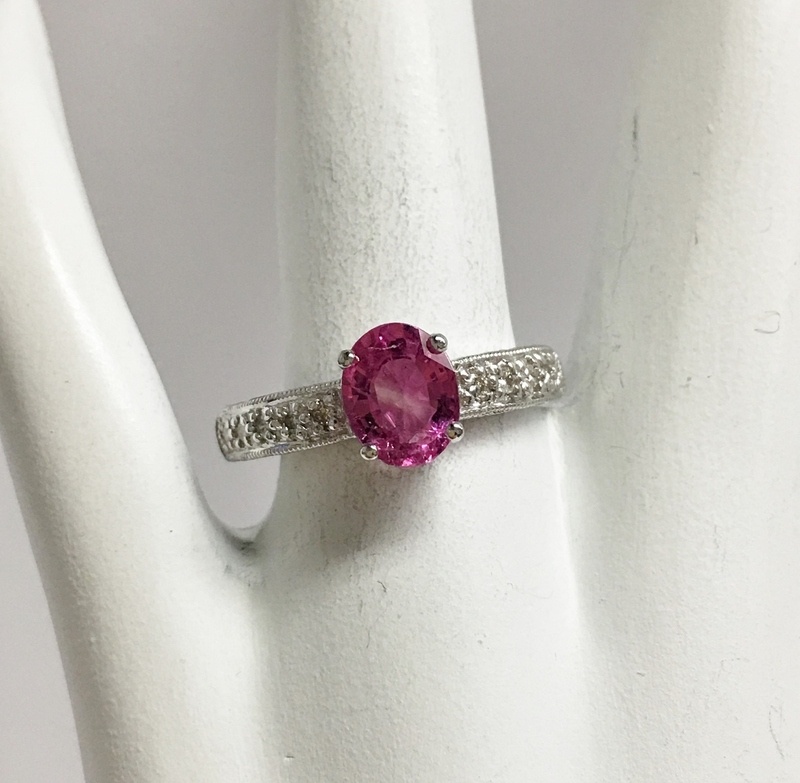 An 18K white gold ring in simple design mounted with an oval cut pink sapphire in the center weighing approximately 1.50 carats. 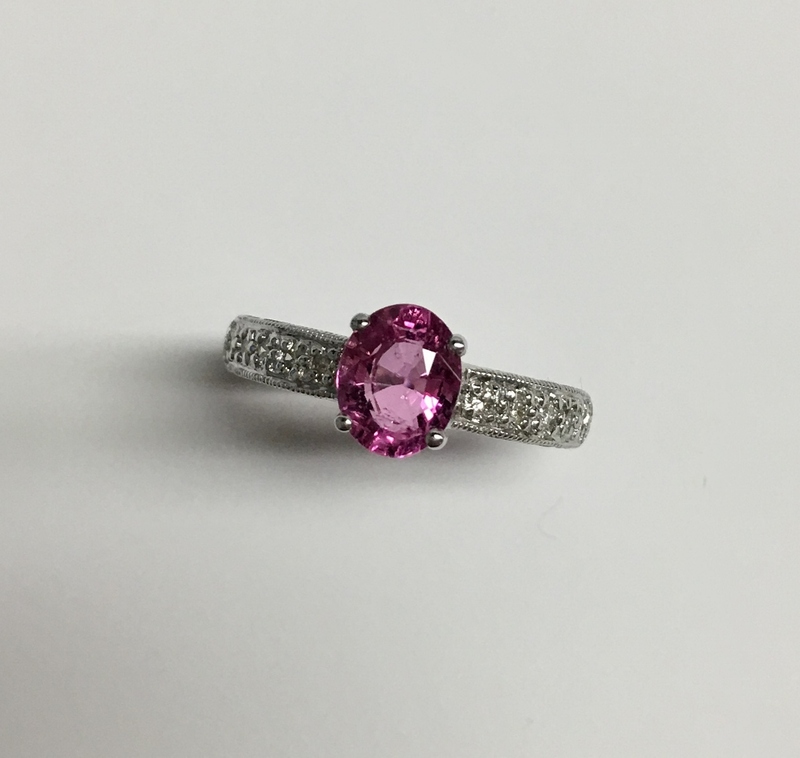 The ring is also accented with 10 full cut diamonds that weighs approximately 0.10 carats total weight. 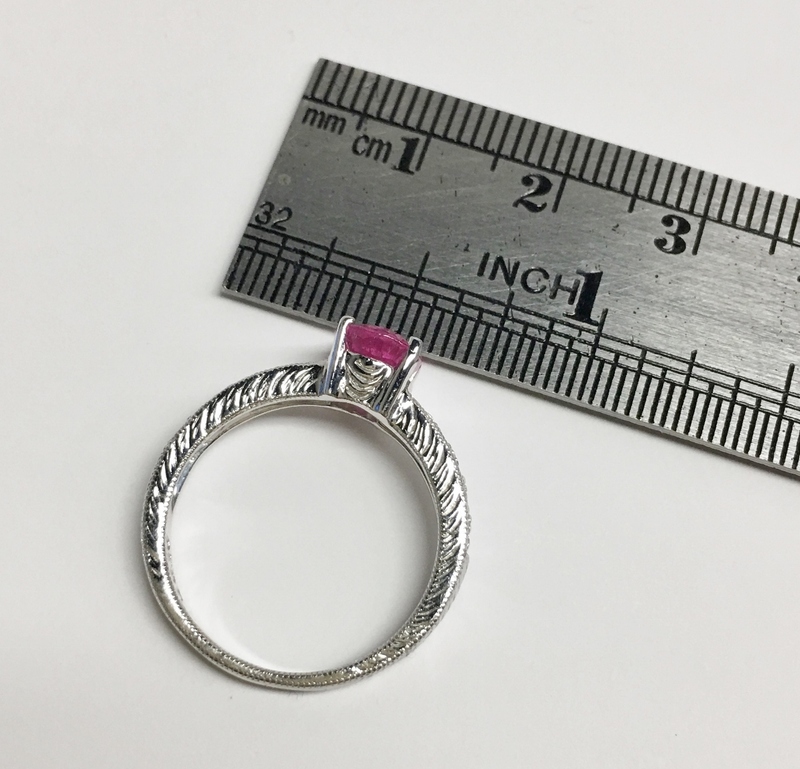 This size 6.25 ring weighs approximately 5.40 grams.